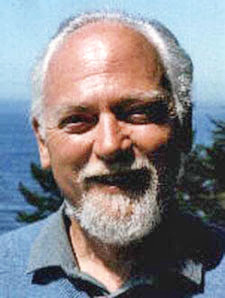 Brian Shields, prominent in two Robert Anton Wilson groups on the Internet. Brian Shields has died, age 53. He was a well regarded digital journalist, a heavy metal fan, a presence on the Internet and on Facebook and also, the reason I mention him here, prominent in two Robert Anton Wilson groups on the Internet. He was heavily involved in an important RAW discussion group on the Internet, alt.fan.rawilson, on Usenet. (If you don't know what Usenet is, you are probably a young person.) I don't know if Brian founded the group, but he was certainly an important presence there. There's little doubt that he was largely responsible for creating Robert Anton Wilson Fans on Facebook and for maintaining it. As I noted at the time, the idea for creating it in 2012 came from Brian. Dan Clore created Robert Anton Wilson Fans on Facebook, but the "About" section says, "I (Dan Clore) created this group at the suggestion of Brian Shields, who noted that alt.fan.rawilson had become rather moribund (along with the rest of Usenet)." In addition, a posting from Dan in the group says that Brian took care of most of the ownership duties for the group, such as sorting through membership requests to weed out spam. Brian was digital manager for KRON 4, a San Francisco TV station. Some excerpts from the obituary posted at the TV station's website: "In his ten years as digital manager and editor at KRON, Shields’ cutting-edge multimedia reporting helped build KRON4.com into one of the most prominent news sites in the Bay Area. He succeeded in producing interactive web stories and breaking news with speed and accuracy. 'He was instrumental in making KRON4.com the great site that it is today,' said Ashley Messina, general manager at KRON." 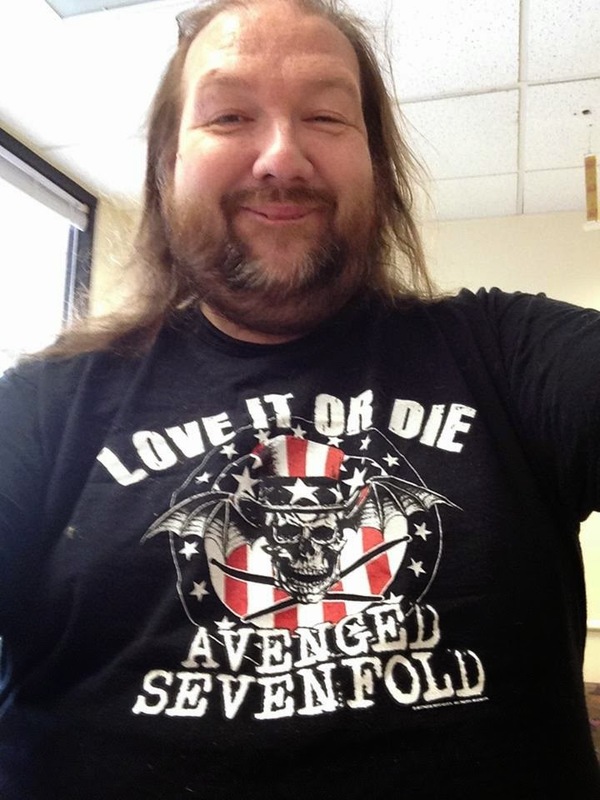 "Outside of the newsroom, Shields was an ardent fan of the Oakland A’s but an even bigger fan heavy metal music. He had no formal musical training but was well versed in the genre’s techniques and composition." "He was recently named weekend editor at the Heavy Blog Is Heavy, a blog featuring metal news, reviews, and interviews. His work was widely popular with followers and musicians; he often hosted bands at his home whenever their tour stopped in the Bay Area." Update: Perhaps he would have been amused I Tweeted the bad news to my 523 followers on Twitter. Update II: Michael Johnson, who was the founder of the RAW Usenet group (see the comments), sent out an email about his friend Brian. "He was a very sweet, thoughtful, and interesting man," Michael writes. After talking about hanging out with Brian to listen to music and tour the KRON newsroom, Michael concludes, " Brian was really smart. He was also a gnostic. He rarely ever said anything negative about anyone, except politicians. He'd let fledgling metal bands stay at his pad for free in Sausalito. What a sweet guy." Thanks for posting this. I think Michael Johnson started alt.fan.rawilson. Brian certainly had a strong presence there. At first I hoped the story of Brian's death would prove a hoax. Alas, no. Not to distract us from this tragedy, but yeah, RMJon23 was the man behind alt.fan.rawilson. He once told me that he discovered all the usenet groups via his AOL acocunt (circa 1998) and could not find a RAW group, so he emailed the AOL admins (IIRC) and said, "Hey, I think this guy should have a group. He's really important." And so it became to be. I met alt.fan.rawilson regulars Brian, Michael, and Eric (as well as several MLA regulars) at the RAW memorial. I was shocked to learn of his passing. So: we're having hours-long stoned conversations that veer from music (Brian was a big fan of Lou Reed in addition to very fast metal), RAW, sports, language and linguistics, poetry (he'd remembered long passages from Allen Ginsberg), politics and media (I always appreciated his insider perspective), to conspiracies and skepticism and reality tunnels....you get the picture. His propensity to pun was Pavlovian. I'd say he'd average 30 puns per hour of yack. You had already groaned too many times; eventually you quickly point and say ha! and go on with what you were saying. 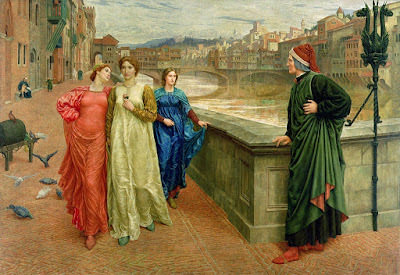 But he had a theory of puns: that they were endless reminders that Things Connect In Mysterious Ways. So yea: one night, we got on the topic of RAW's book The New Inquisition, of which I had a lot to say, having read it many times. I knew he'd read it too, at least twice. Suddenly he comes out with a very nuanced critique of the book that - I was stoned out of my gourd, remember - was making me wish I had a tape recorder. Anyway: the gist was that the first half - RAW's establishment of problems with language, with "Pure Reason" and the Scientific Method (problems there because it has to do with human perception of the world, and he's already demonstrated we all make mistakes with even simple observations, etc - the first part was STELLAR stuff, but then he fell too much in the latter half into being an updated Charles Fort. But Brian was extremely articulate about this, stoned on monstrously killer weed (or I was: dude had a Gargantuan ability to tolerate cannabinoids, something I do not have). I recall defending the Fort stuff, because I thought Fort was one of the first satirists of Scientists, or at least he invented a new way to critique a class of intellectuals who had gained enormously in status in the 19th century. Brian saw Fort as a fantastic compiler of Supposedly True Amazing Stories, but that most - not all - of the phenomena in Fort was crap journalists made up. But he was far more nuanced in his critique. Or at least I remember it being that way, because I had that next-day "Damn! Shields talking about The New Inquisition last night was soooo damned entertaining!" Brian wanted to publish a novel like one of his non-RAW fiction heroes: Michael Connelly. He liked that style. He wrote; he was going to workshops as places like Book Passage in nearby Corte Madera. Brian was from Texas and told me, in what I took to be his serious tone, that many insiders in Texas politics and the media "know" that Rick Perry is gay. I still don't know what to make of that; Shields was a careful news-guy; he was very skeptical. If I hadn't talked to him for awhile, then we finally got back in touch, his voice was striking: big resonant tone. He said yea, I have a face for radio. He had his own radio show in Oklahoma City, IIRC, in his early years in broadcasting. I'd love to see Gathers (above), Wagner (above him in comments) and other RAWphiles incarnate again. In social media: the primary mediation? Indeed does nothing last. All is impermanence. Another longtime friend just turned 50 and died 2 weeks ago, of ovarian cancer. And I don't feel so hot right now myself.